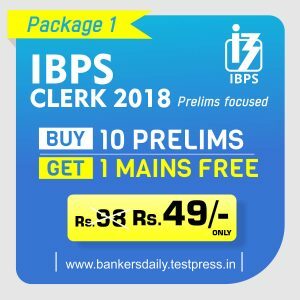 After the SBI PO, SBI CLERK & IBPS PO Exams IBPS Clerk will be the most expected one to crack the banking job for many aspirants.Since Ibps has also changed the exam pattern similar to SBI,we are providing practise sets in basis of IBPS CLERK 15 Days Study Planner. 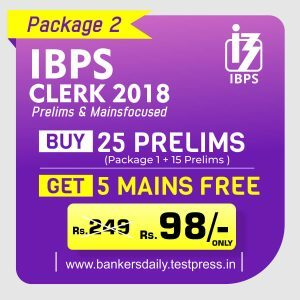 Students are advised to practise the questions regularly and crack the IBPS Clerk 2018 which will be held shortly.Since this will be the dream job for most of the aspirants everyone should work hard and act smart to achieve their own destination. Q.11) What is the code for “National” in the given Code Language? Q.12) What is the Code for “Technological”? Q.13) If “Malabar” is Coded as “24&Z” then in the same way what is the Code for “Mountain”? Q.14) What is the Word for this code “15#H”? 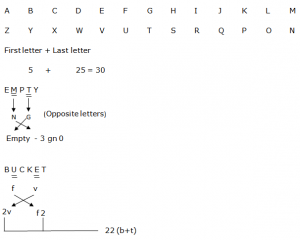 Q.15) The Symbol “-” is Coded for which of the following letter? Q.16) What is the code for “nothing success”? Q.17) What does the code “3ov5 3lr6” represent? Q.18) What is the code for “exception rule proves”? Q.19) What is the code “3ig4, 2ho1, 2ov4” represent? Q.20) How “rolling stone gathers moss” can be coded using above coded language?